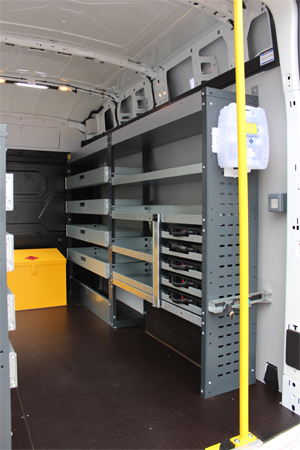 Affordable van racking and storage solutions designed to your specific requirements. 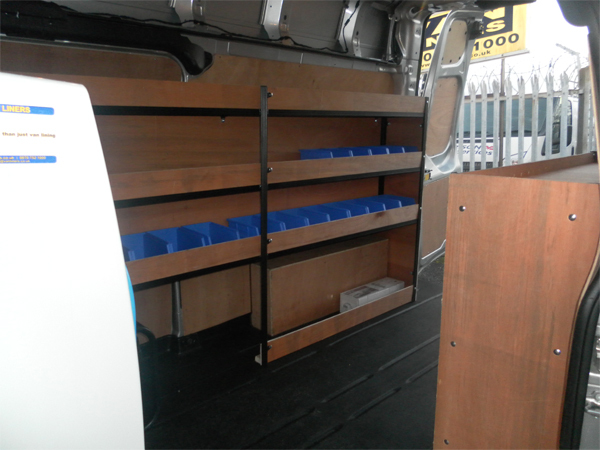 Our 18mm CNC machined Plywood shelving is mainly used for the smaller CDV’s / SWB size vans. It is ideal for your lighter storage needs, it comes in various lengths up to 8ft and widths ranging from 250mm to 350mm. Our slotted design gives you extra strength, durability and is ideal for storing smaller parts and accessories, helping to keep your load area tidy and clutter free. Our newly launched ‘Tradestore’ crash tested modular shelving system has recently been awarded the duty of care safety validation from Millbrook which is one of the leading test centres here in the UK. We believe that our ‘Tradestore’ system is the most cost effective modular system on the market and equal in quality and design to any other manufacturer here in the UK. Our steel framed plywood shelving is manufactured in house using heavy gauge 3mm angle and flat bar welded steel frame that gives greater strength & durability, this is one of our most popular shelving systems in the utility and building sector. 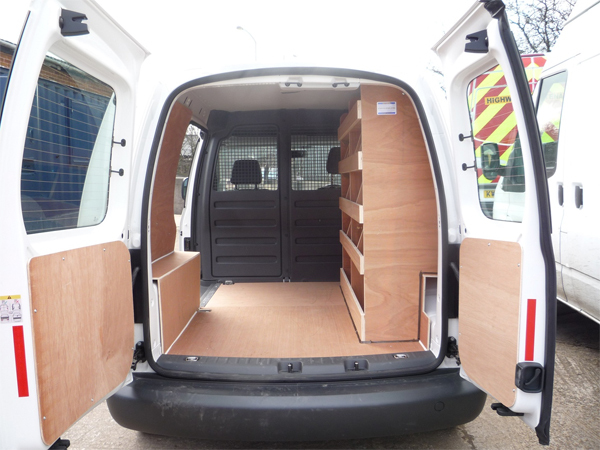 Designed to utilise the full contour of the vehicle maximising space while keeping the overall weight down, vehicle payload is a major factor when considering your specification and PPE requirements. We believe that our steel framed shelving is on average lighter, more robust other systems on the market and costs a fraction of other manufacturers modular shelving units.